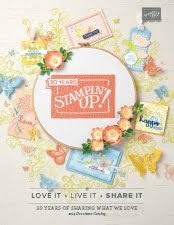 I'm switching over to a Birthday Treat Holder, I have so much to share and this is another Stamp Set I really love and it can be used for so much more than cards. It's the Piece of Cake Bundle. It's has so many different cakes and sentiments in it! So Fun! Here is the Color Inspiration for this Box! 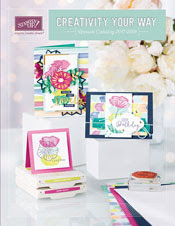 You will also be seeing a Card I created with this stamp set in my Technique Tuesday Video. 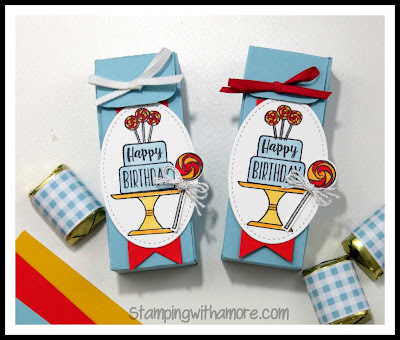 I actually love these colors together and I thought they would be great for a Cheerful Birthday Box. DOWNLOAD BIRTHDAY NUGGET TREAT HOLDER PROJECT SHEET HERE!